Deven Verma passed away into the ages on December 2. We re-publish an interview done with the veteran actor on July 25, 2013. One of the most talented actors of his time, Deven Varma has worked in 149 films, with some of the biggest names in the business, in films like Gol Maal, Angoor, Khatta Meetha, Naastik, Rang Birangi, Dil and Judaai. Married to Ashok Kumar’s daughter Rupa, Varma always looked up to his father-in-law and quit films when Ashok Kumar passed away. “When I started out in films, the top four actors were Dilip Kumar, Raj Kapoor, Ashok Kumar and Dev Anand. In comedy, it was Mehmood and Rajendranath. These were the actors people looked up to,” Varma said. “We were all like a big family. The actors would all sit together after their shot and talk, there were no vanity vans. The first person to have a vanity van was Poonam Dhilon and she would rent it out,” he added. Looking back at his rich career, Deven Varma tells Patcy N the inside story of the Movie Greats of his time. 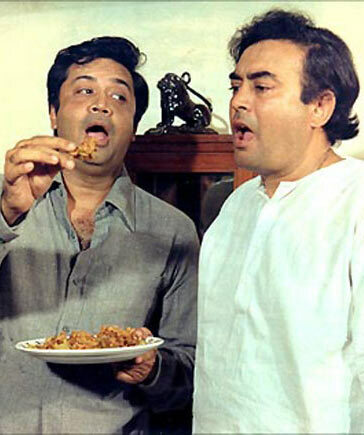 Image: Deven Verma and Sanjeev Kumar in Angoor. I enjoyed working with Sanjeev Kumar the most. People think from my surname Varma that I am Punjabi. But I belong to Kutch so I speak Gujarati and Kutchi. Sanju and I got along well. We spoke in Gujarati on the sets and we ate the same kind of food. He had no ego; he never tried to cut down your scene or do something to upset the shot or take the focus on him. He would appreciate others’ work too. There were lots of actors who would get your scene cut from the movie but most of them are no more now so I don’t want to name them and tarnish their names. 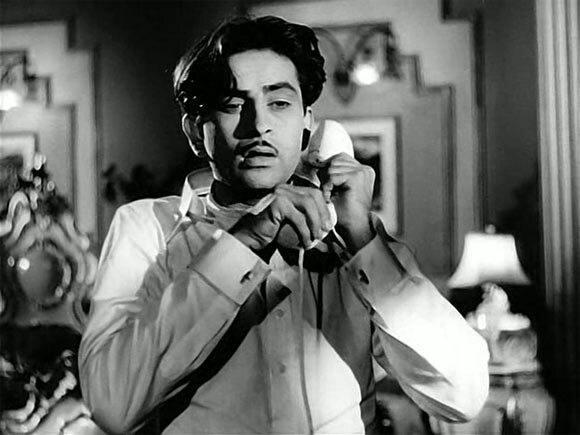 Image: Raj Kapoor in Andaz. Raj Kapoor was not an introvert but he could give the expression of an introvert. He could perform any role. Raj Kapoor was not an actor, he was Cinema. Raj Kapoor never worked on his role, he was spontaneous. 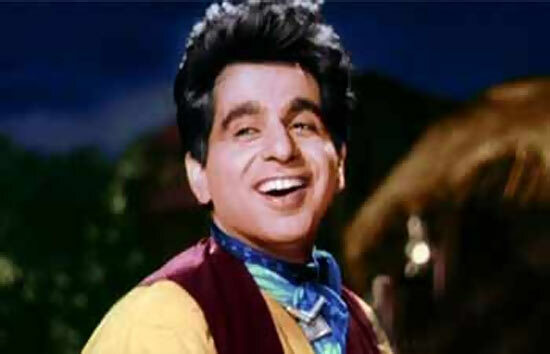 Yusuf saab (Dilip Kumar) goes very deep in his acting. He knows beforehand what he is going to say and how he is going to say it and he works on it. Both Dilip Kumar and Raj Kapoor were very good at their craft. 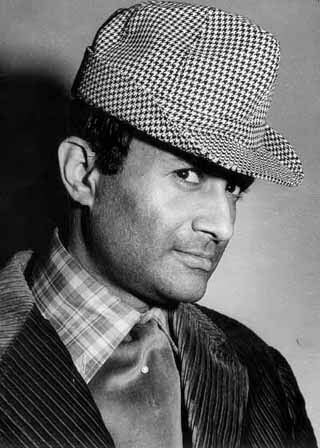 Nobody considered Dev Anand to be a great actor but he had this persona and there were his fans who made his films such hits. He was the handsomest of all the actors. 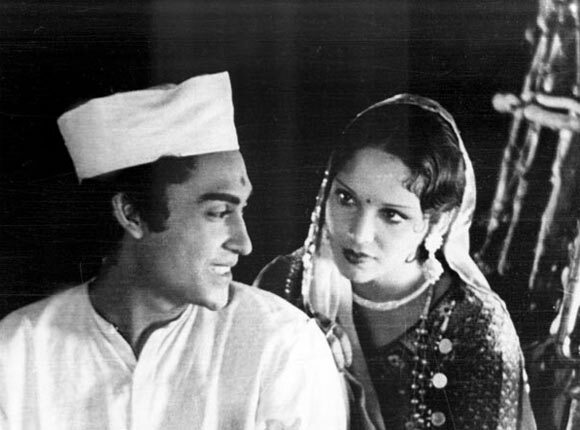 Image: Ashok Kumar and Devika Rani in Achhut Kanya. Ashok Kumar was known as a versatile artist who worked on himself and his acting skills. If you see his first film Achhut Kanya with Bombay Talkies, he had a feminine voice. How hard he worked to get his voice perfect and manly! He would eat ice cubes so that his voice would turn hoarse. Can anyone do that today? He was a legend. He was in this industry for a long period. He had tremendous observation powers, he spoke many languages -- he even spoke Persian. He was a doctor in homoeopathy. He was a tremendous painter. He would get into something, learn it till he knows enough, and then give it up suddenly. He was more of a friend to me. We worked together at the start of my career in films such as Dharmputra, Gumrah, and Aaj Aur Kal, where I played his son. I knew him for many, many years. When I joined the industry, he asked me why I was doing so because he knew I was a graduate in Politics and Sociology. I would always tell him ‘I have the urge to act’. Dharmendra was in Pune one day and called me. He was very nostalgic. He told me ‘Kidhar hai tu? Aataa kyun nahi hai, kyun chod diya?’ He came to my house. So there are still people who value the old friendship. 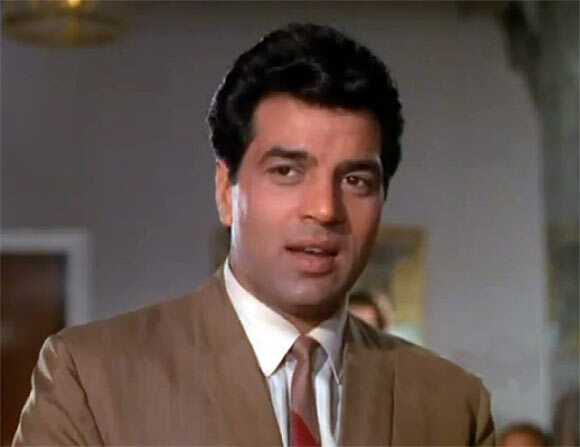 Dharmendra was in the first film I produced, Yakeen. After that, we never work together but we were friends having worked in so many films before that. He has seen me play second lead in his films Devar and Anupama and then branching out into comedy. 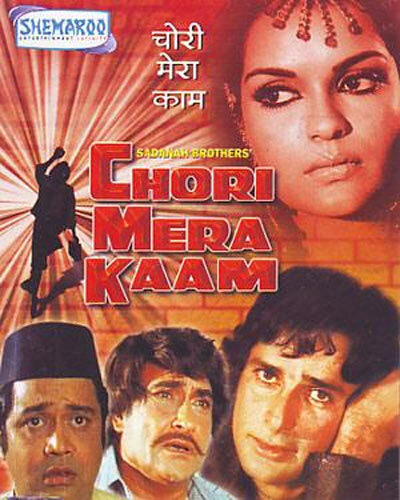 Image: Movie poster of Chori Mera Kaam. I was very close to Shashi Kapoor and his family. I would have dinner at his house half the time. Jennifer always called me home for dinner as I was a bachelor then. I really feel sad for him now that he is in a wheelchair. He can’t remember, he can’t recognise, he will call you by some other name. His only struggle was that his movies flopped a lot, but he signed so many films. People joked that he signs one film a day. His films flopped because of too much exposure -- people were weary of him. Image: Deven Varma and Amitabh Bachchan in Bemisaal. We are good friends. He never behaved like an employer. We are family friends. He is the only gentleman in the acting line who is very particular about timing. He had no airs. He faces reality. When Amitabh suffered losses, he did advertisements, but the integrity of the man is he earned that money and got out of the financial mess. When Alaap failed, Amitabh and I had a discussion. I told him that he is famous for his action films, but in the poster of the film instead of holding a gun, he was holding a sitar, so the film was doomed. Today Amitabh is a marquee name for good performance and not duet singing. He has evolved as an actor. Image: Deven Varma and Pran in Aapke Deewane. I have done many movies with Pran. The tehzeeb (manners) that Pransaab had, I used to wonder how he got that. If you went to meet him at his house or on the sets, he would come to leave you to your car when you were leaving. Those things are lost these days. 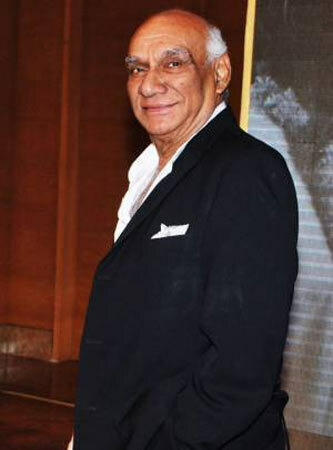 I was good friends with Yash Chopra. I don’t drink or smoke so when we went for parties, Yashji and I would be separate from the others because we were not the drinking type. There were some people who I couldn’t refuse. I never said no to Yashji, even if it was small work. Right from my first film, Dharamputra, we have worked together and we have been close friends and that friendship was never because we worked together or money or anything. Yash Chopra and I loved eating good food. I had a tremendous appetite. I once went to a film festival with him and we went to this restaurant and ordered chicken. We ate seven chickens between us! We were friends for 54 years. He died just one day before my birthday, on October 22. I was very sick. I had just come out of hospital the day before. I wanted to go for his funeral and called for a taxi but my sugar shot up to 400, my heartbeat and blood pressure went up. My doctor advised me not to go. When Pam (Pamela Chopra) came to know I was coming to Mumbai and I had been hospitalised the day before, she told me not to hassle. It was a huge loss for me; he was a really close friend. 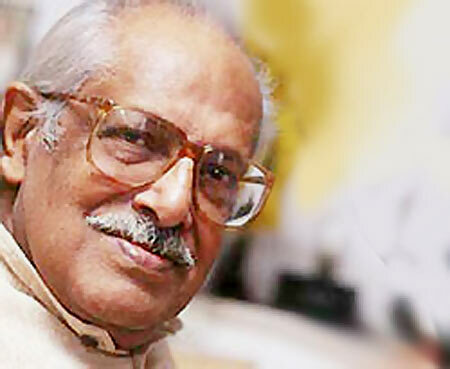 I worked with Hrishikesh Mukherjee in 12 films. He liked me because my comedy was never below the belt. I never played a woman in a film, but I played a Hawaiin dancer for Hrishida because the role required me to be that for just one sequence. Nobody would choose me to play slapstick comedy because I played character roles. Comedy doesn’t mean double-meaning or loud actions; it comes out of characterisation. Like in Khatta Meetha, I played a Parsee. We were not allowed to say dialogues like a Parsee would because director Basu Chatterjee made the point that Parsees are not known all over India, they are known mostly in Western India. If I had spoken like a Parsee, a Bihari would wonder why I was speaking like that. Hrishda always spoke to me in Bengali. He called me one day and said, ‘Devenda I have got a role for you.’ I asked what it was. He said ‘You have to be Deven Verma in the film (Gol Maal, 1979). You will have to use your own car, and wear your own clothes.’ I never said no to Hrishda because we were on the same wave length when it came to comedy. The most amazing part is that Angoor today is considered a classic. People have seen it a number of times and they say that every time they watch it, they find something new to laugh at. You don’t get bored of it. 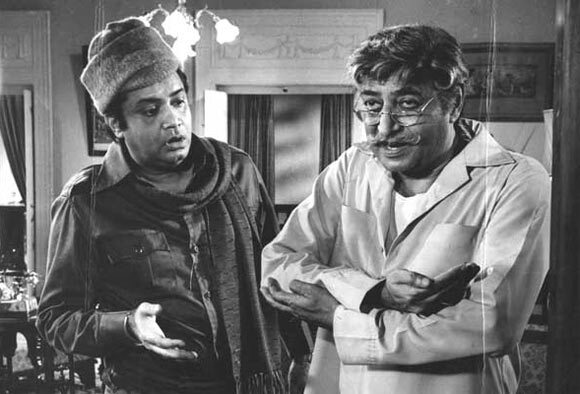 But the same movie was made in 1968 by director Debu Sen, starring Kishore Kumar and Asit Sen. It was called Do Dooni Char. It flopped badly in the very first show. It was produced by Bimal Roy. Gulzar had written the script. 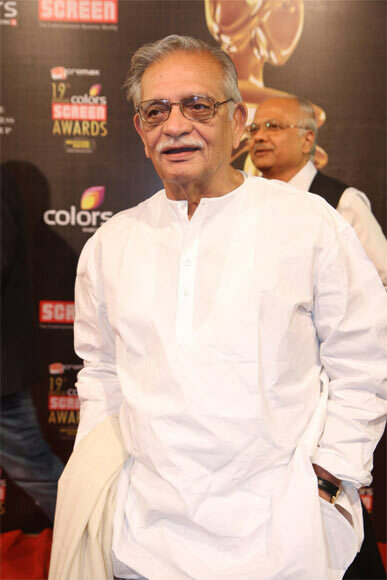 Gulzar said that since he had written the script, the movie can’t flop, so he took it up as a challenge and remade it as Angoor and it turned out to be the biggest hit. It was not a big draw box-office wise or artist wise, it wasn’t that. Angoor was a believable comedy, though at the back of your mind you may question how two people can have twin children at the same time and get separated at the same time. But despite the question in your mind, you will still believe it. I have done two movies scripted by Gulzar, Mere Apne and Angoor. I would pull his leg and say, ‘You have got two hits in your career and the films had me in them.’ He called me Badmaash. I also joked about another fact: whenever I was paired opposite a big heroine, I would be killed. In Mere Apne I was cast opposite Meena Kumari and I was killed and in Milan I was paired with Nutan and I was killed there too!